First Degree Fitness’ indoor water rowing machines are the perfect home fitness solution, offering both good looking form and function in a range of fluid rower designs. Our entire indoor rowing home fitness range feature FDF’s patented fluid innovation technology, challenging you to row harder, build strength and cover greater distances. First Degree Fitness’ home rowers allow you to bring your outdoor passions indoors. Our water resistance rowers are the perfect match to any home gym, suited for all ages and fitness levels with dynamic fluid force, and ajustable resistance level to match capability. Our popular home fitness rowing machines are designed to increase good aesthetics of any room. Not only will your home rower become a popular point for the complete family, it will provide you with a visual reminder to push harder to get stronger and fitter. 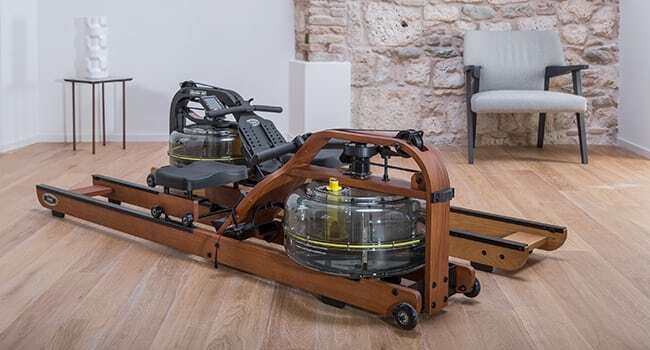 Dynamic and fun water rowing workouts, our solid American Oak and steel framed rowing machines are best sellers in the global home fitness category. With minimal impact to the joints, FDF rowers and upper body ergs offer a safe rehab solution for staying active and building strength and stamina. By rowing or arm cycling at a resistance level that suits the user’s ability, there is always room for progression with anywhere between 0-20 levels of possible fluid force depending on the erg model. 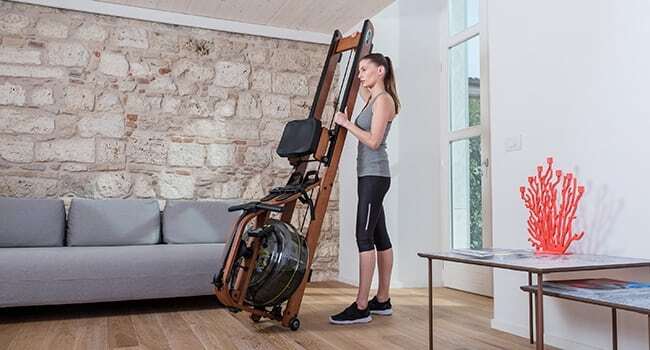 Water resistance fluid rowers and upper body ergs also accommodate the ageing body by offering a low impact exercise that has the potential to build stamina, stimulate bone growth and build bone mineral density. Many FDF indoor rowers come with an optional seat back, providing lumbar support that takes the weight off the user’s hips and back. First Degree Fitness home fitness fluid rowers are available in every continent. Our global reseller network can be consulted to assist you in upgrading your home gym and can provide advice on the best water resistance indoor rower to suit your training or workout needs.